Lily Melrose - UK Style and Fashion Blog: "You Smell SO Good!" I have a hell of a lot of perfumes in my stash, seriously way wayyyy too many. I tend to stick to the same sort of scents (holla at you Estee Lauder Bronze Goddess & Versace Crystal Noir), However I’ve recently been really drawn to the Jo Malone Mimosa & Cardamon Perfume. Every single time I’ve worn this perfume I’ve had someone comment on how good I smelt. I don’t think it’s actually supposed autumnal scent (Im always SO unseasonal with my fragrance!) but it’s really warming and comforting so suits the current weather really in a odd sort of way. It’s an unusual scent, I don’t think I’ve ever tried anything like it before or have anything remotely similar in my scollection. It’s sort of fresh, florally and spicy all at the same time without being heady or too youthful. Think warming spice rather than peppery spicy and crisp floral rather than old lady floral. The notes of Mimosa, Cardamon and Tonka Bean blend really nicely together and perfectly compliment each other really well. It has a sweetness thats complimented really nicely with the deeper tones. It’s a really modern and exotic fragrance at the same time and just works as a good all rounder scent. Sounds gorgeous, will definitely give this a whiff next time I'm near a JM counter. My only issue is that the JM scents I've tried don't seem to last on my skin. One of my all time favourites is Blackberry & Bay but after an hour, I literally can't smell it! jo malone scents are the best. i have nectarine blossom and honey one and it's so lovely! I love the scents of Jo Malone but I just find within half an hour you've lost so much of the scent already. Jo Malone is a brand I desperately want to try when it comes to fragrance, they look so amazing and I can imagine the smells are incredible. I want to try this out so bad, the scent sounds gorgeous! I've been desperate to try a Jo Malone fragrance for so long now and this one sounds beautiful! I remember you mentioning this in one of your blogs, made me want to buy it! I really want to get a Jo Malone perfume. Sounds like a pretty nice scent to be honest. Where can I go to test it out? The way they describe the scent makes it really intriguing, I can't figure out what it'd smell like but it does make me want to go and smell it! I'd never heard about this one, Jo Malone have so many different fragrances and most of them are amazing! 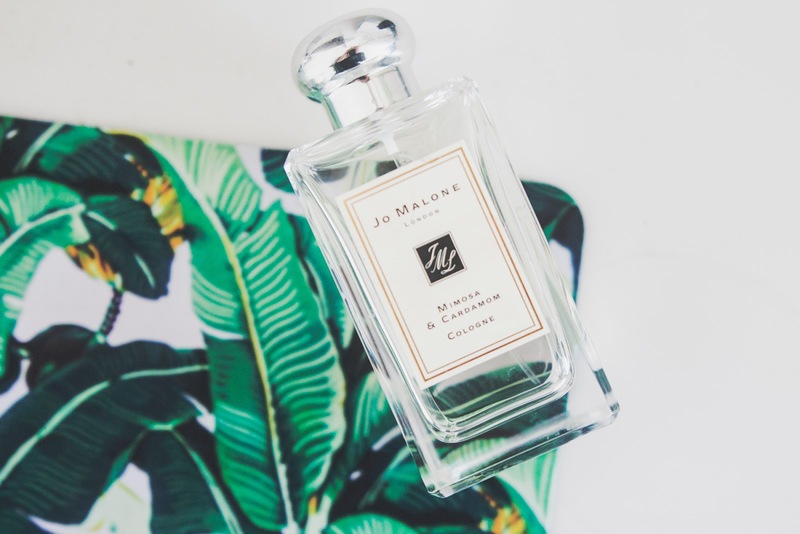 How popular is Jo Malone? I mean, I swear everyone is raving on and on about how incredible every single fragrance smells at the moment (well, actually for a long time now). How I don't have my own really beats me, but it needs to happen! Sounds gorgeous! I adore Jo Malone fragrances, pear and fresia is my all time fave. I recently had a big clear out of my perfume collection as it was getting a little out of hand, but I believe the newly freed up space gives me room to try one more... So I'll be looking out for this scent, as it sounds lovely. This sounds gorgeous, I always trust your perfume recommendations Lily!